Ahmad, retired Chief Secretary of Balochistan, has beautifully presented the stories of the deserts of Balochistan, without botox-ing them for modern sensibilities. 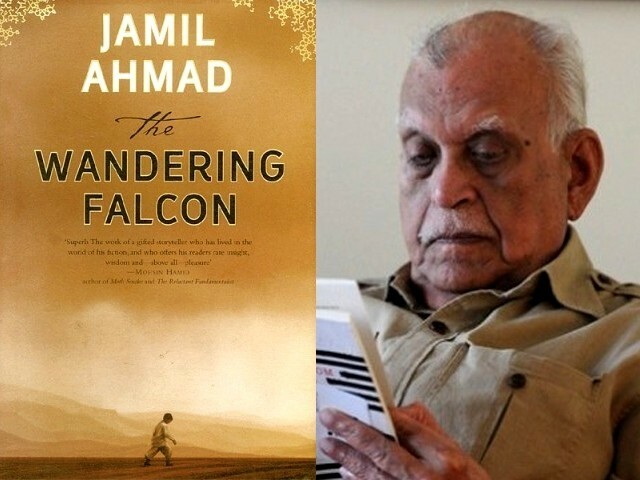 Jamil Ahmad’s The Wandering Falcon cruised into my bucket list when it was shortlisted for the Man Asian Literary Prize and Commonwealth Book Prize, but that was not the sole reason for it clicking with me. It was the debut work of the author at the age of 78 and was written long before we mired our stream of consciousness by replacing people with numbers and empathy with stock language for the tribal people of Pakistan. Penned down some 34 years ago, the work of fiction has become extremely relevant to the current global situation rampant with discourse of convenience. The short stories shot to fame after landing space in the prestigious Granta, the literary magazine. It could be termed as an unadulterated version of a world which has become marketable to a nauseating extent. Nowadays, the instant recipe to literary fame is taking up the post 9/11 theme, and twerk with personal style, especially if you are lucky enough to belong to the troubled areas (the only time you feel privileged for your motherland). The Wandering Falcon is immunised from this commercialism which makes it an effective cultural document. “I felt the tribes had far more grace, a far greater sense of honour, rectitude, truth — the qualities we associate with a decent human being — than you found in the cities”. The narrative doesn’t delve much into the emotions of character and by this technique of symbolic exclusion and holding back, becomes aligned with the cultural norms of the characters. Characters don’t give away much through words and exude quintessential Baloch and tribal forbearance. The barren and unforgiving landscape of the desert and mountains become an important character and relay more information than the expression of characters. The culture and stories of Balochistan have never made it to the national literary scenario and whenever they do, they are trite and whitewashed to fit into the politically correct national narrative. “My love, take away the towers, there is something about them I do not like”. The towers, as the reader comes to know later, are symbolic of the lovers’ grave. I enjoyed Death of the Camels most, which celebrated the obliterating Nomad traditions. The fearless Gul Jana defies the laws under the illusion that the Quran on her head would save her. Ahmad triumphs as an artist, when he juxtaposed dying Nomad culture against modern society law; make them wither mercilessly. “If people in this room can be silent, thoughts shall come easier to me. We Baloch are used to the silence of the desert”. Though branded as guilty, the seven tribesmen walk out with their head high, portraying the ultimate trait of Baloch culture: bravery and stoicism. This book is a treat for the reader looking for stories without agendas. While its always a pleasure to meet a reader, I beg to differ on this particular book. Though I completely agree that the book is not written to appeal to the senses of the elite, who would wish that the Balochis would just disappear. While it is free of political, ethnic and religious propaganda, I do wonder how much of it actually reflects reality. 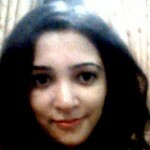 There are many things which I found hard to believe. For example, in one of the stories when the caravan is migrating to the plains, there is a woman on a camel who is being ogled by one of the patrols who were escorting them to the next post. This woman made a joke on the expense of the patrol which implied the dimensions of her husband’s unsavoury member. This forwardness is shocking where one hears that women are not even allowed to get in line for food rations at the IDP camps and they are slapped and beaten around by the elder men if they do. Something doesn’t add up here. Then in the final story with the market that is held every Thursday where women are sold, that really was appalling. I wish, I hope that was made up. I again find that hard to believe that in a tribal society which believes that a family’s or even a tribe’s honour is disgraced if a woman marries of her own choice, that such a disgusting practice would prevail. Nicely written and even if you had praised this more….it would still be insufficient.